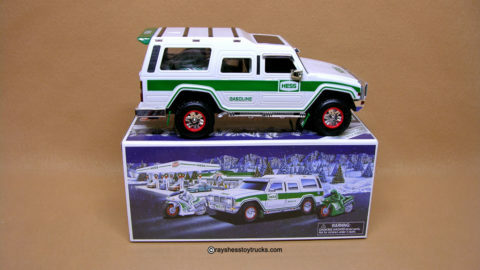 Complete with truck, box with all packing & battery card. These trucks were a Special Edition from Hess. Truck is approximately 14″ and mini measures 6″ in length. 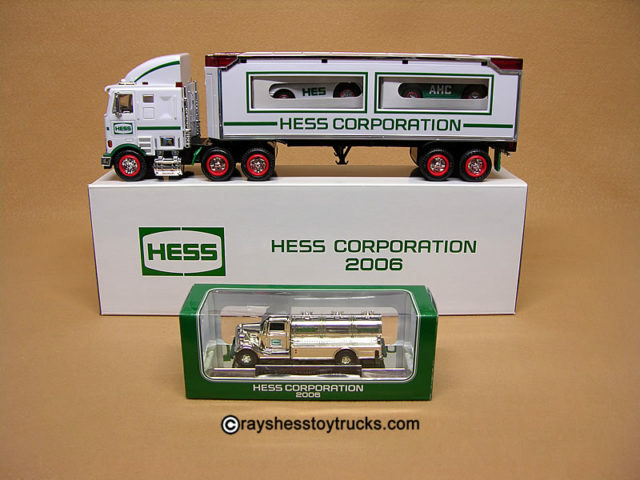 On May 9th Hess changed their name from Amerada Hess Corporation to to simply Hess Corporation. To commemorate this great event they produced two special items. 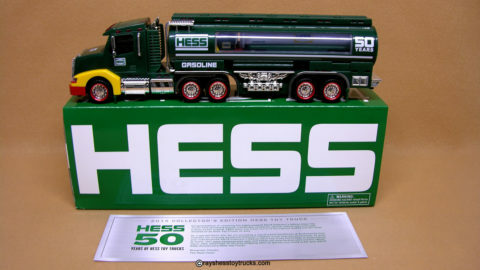 One item was a truck that was just like the 1997 Hess edition but instead of the Hess gasoline on the side it said Hess Corporation. The small cars inside say on one car ACH and the other says HES. There were only 3000 of these made. The other item was a chrome mini that was a replica of the popular 2000 mini. Both were only distributed on the stock exchange floor on Mat 9th 2006. The batteries have been removed on all items to prevent corrosion and not included! Compartments are clean on all items and all the lights are in working order. The boxes are also mint with bright graphics and complete with all packing. 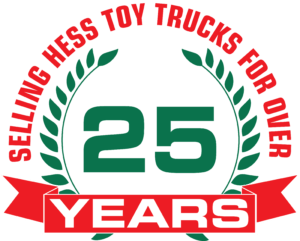 The truck measures approximately 14″ and the mini measures 6″ in length.